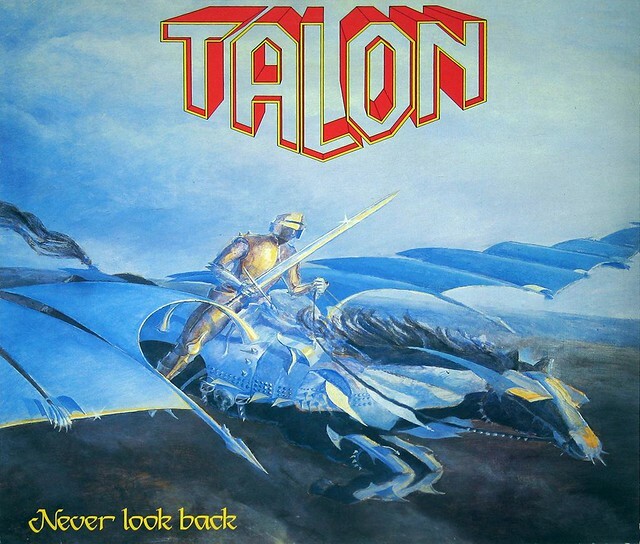 "Never Look Back" is the third recording and second official full-length albumy by the German Heavy Metal band "Talon". 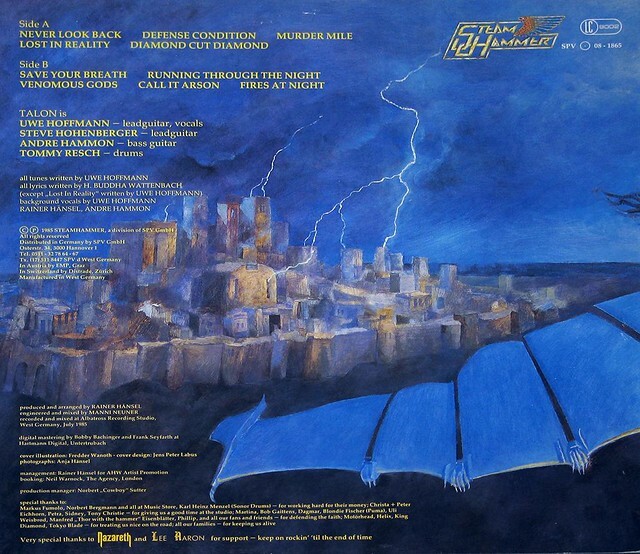 This album was produced by "Manfred 'Manny' Neuner" and released in 1985. This album "Never Look Back" includes the original custom inner sleeve with album details, complete lyrics of all songs by and photos. Manfred Neuner (aka Mani Neuner) a producer and sound engineeer from Germany, during the 1980's he has produced and engineered around two dozen heavy metal albums. 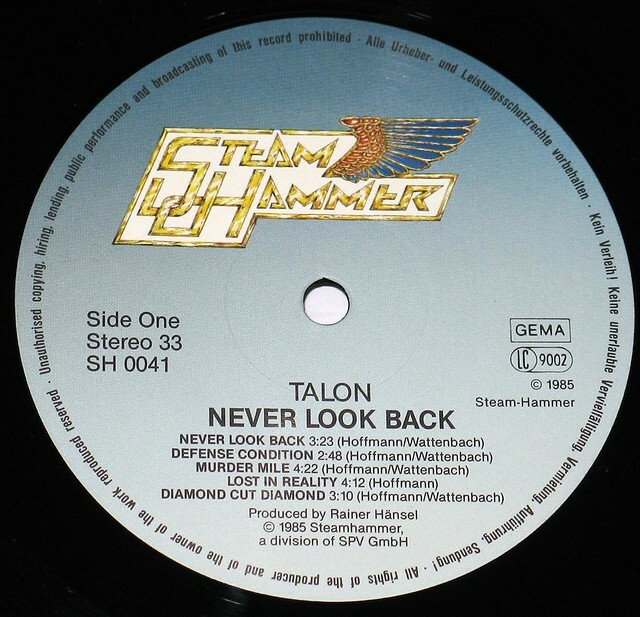 Track Listing of: "Never Look Back"